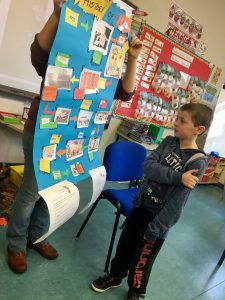 and of course you are hearing others’ opinions & ideas to help broaden your perspective! 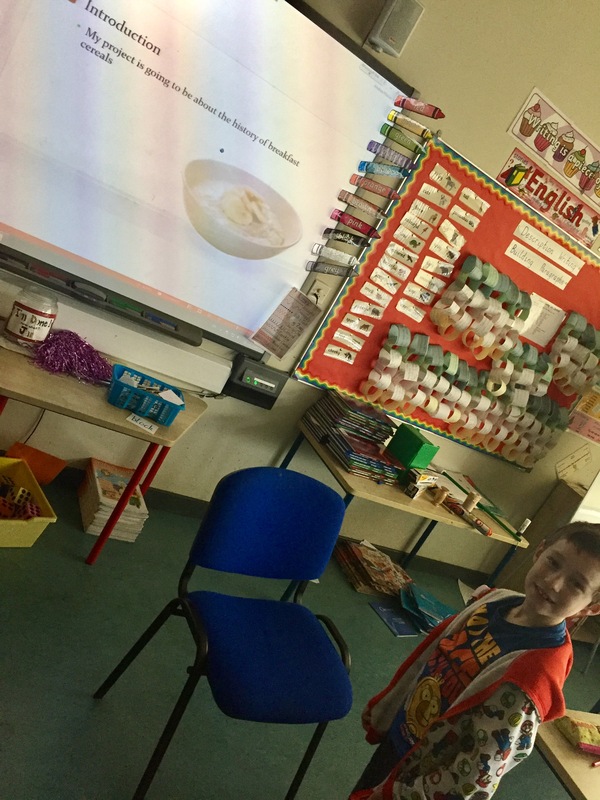 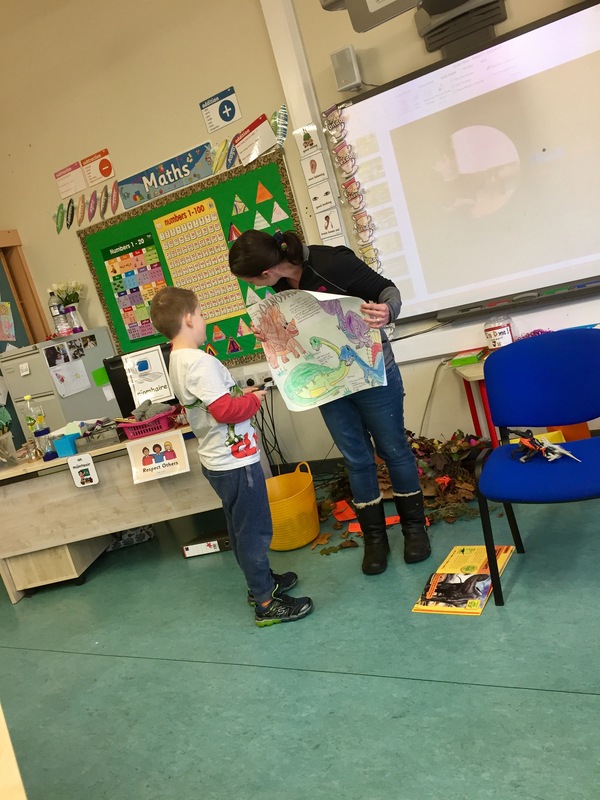 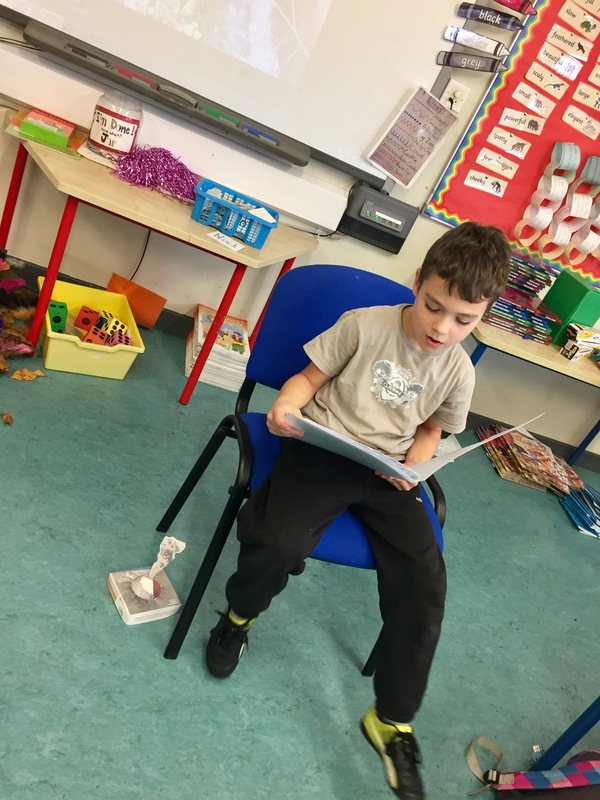 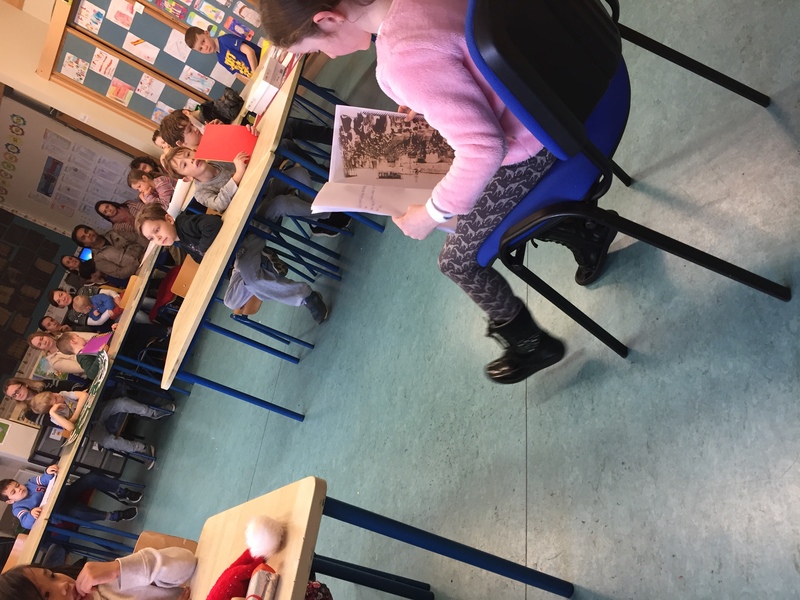 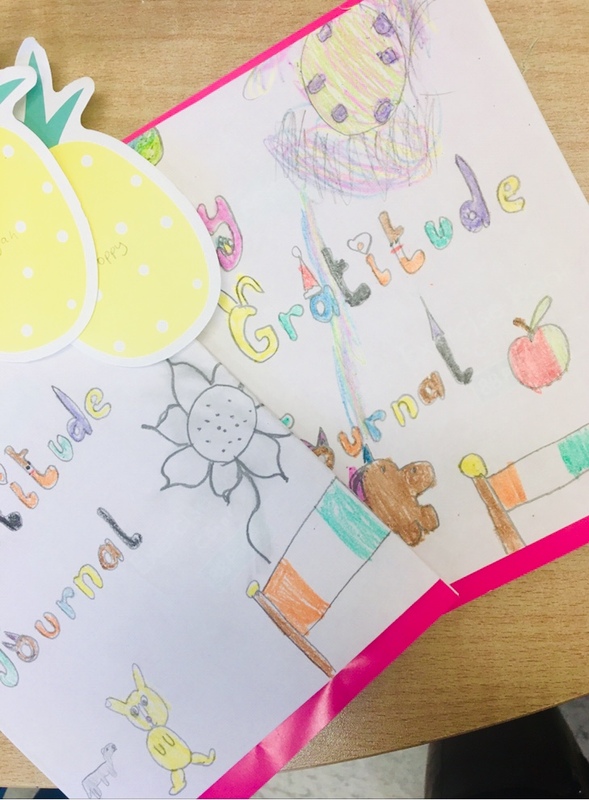 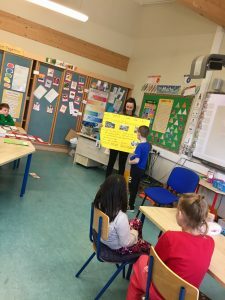 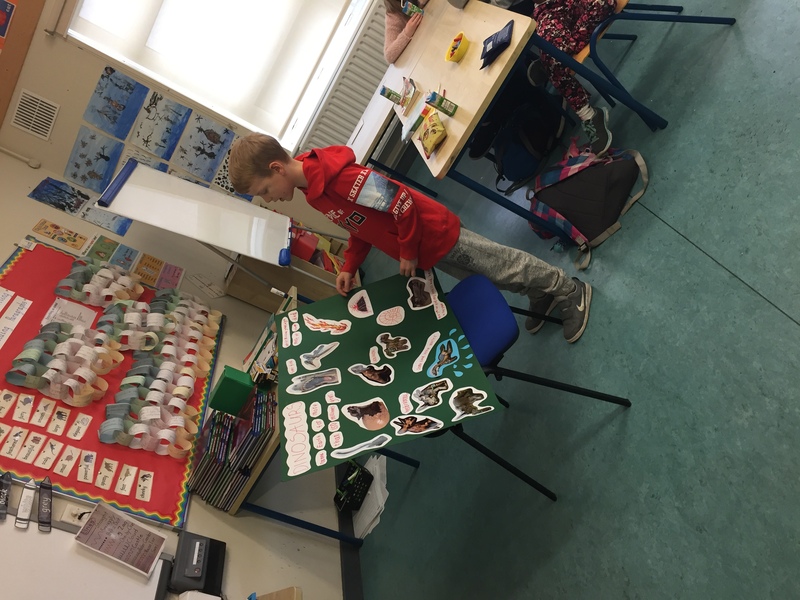 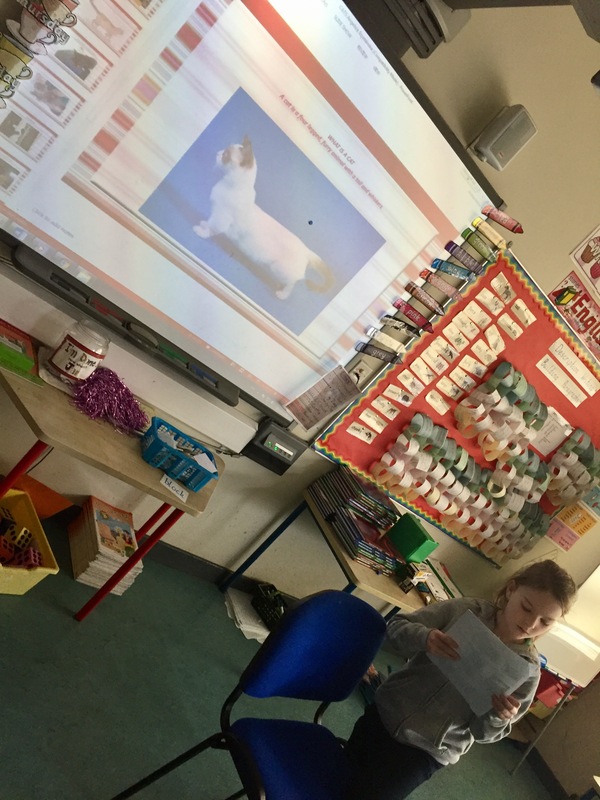 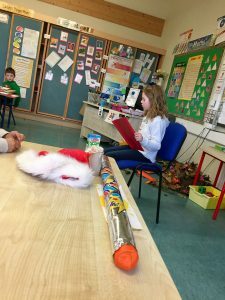 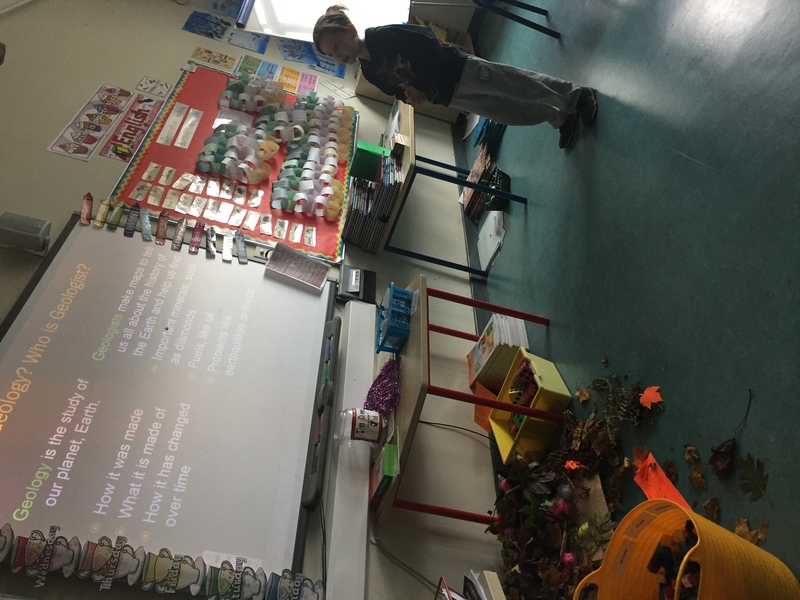 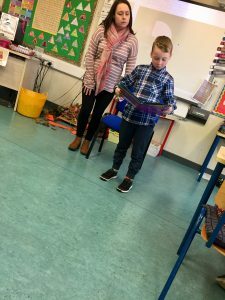 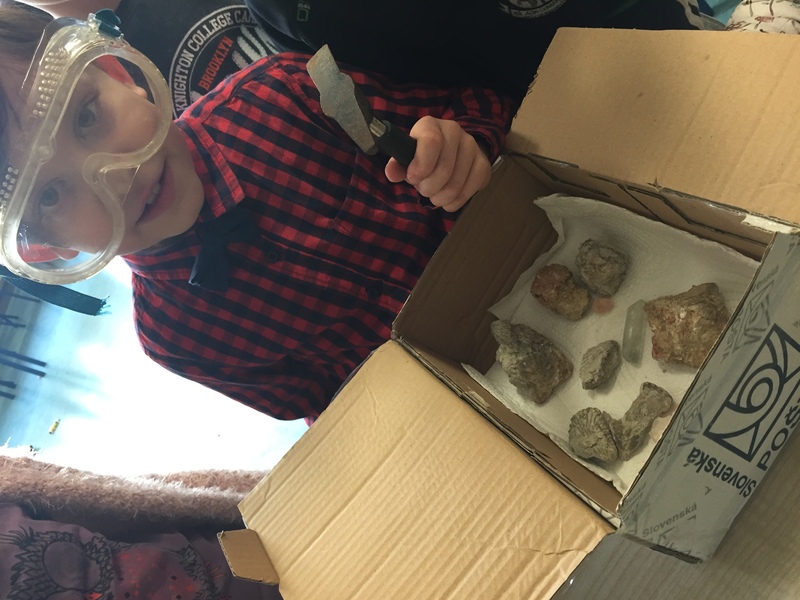 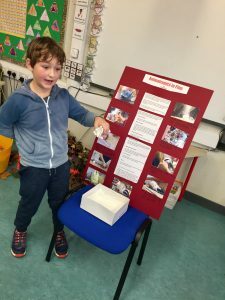 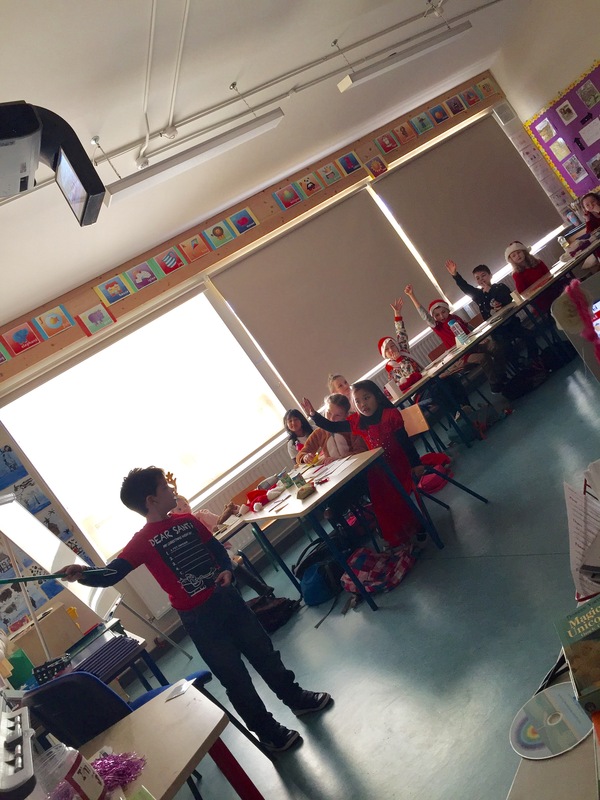 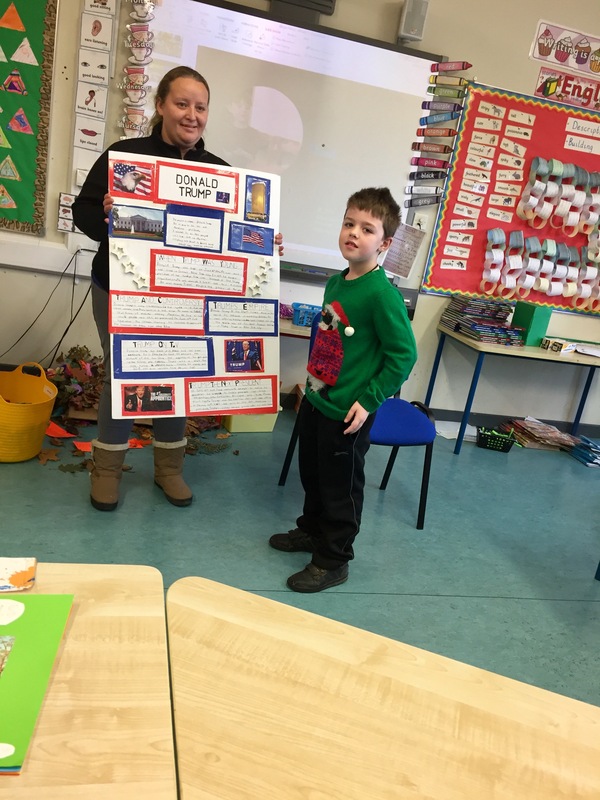 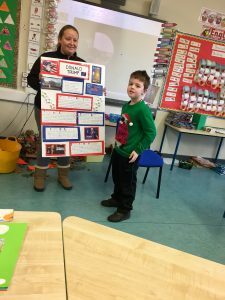 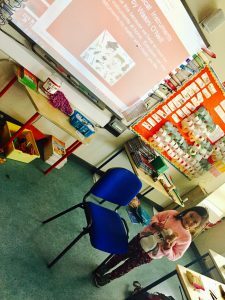 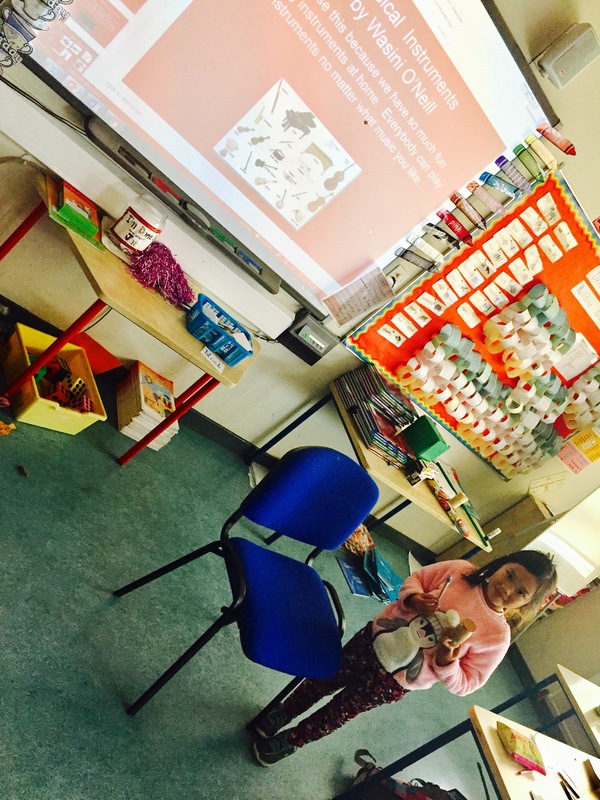 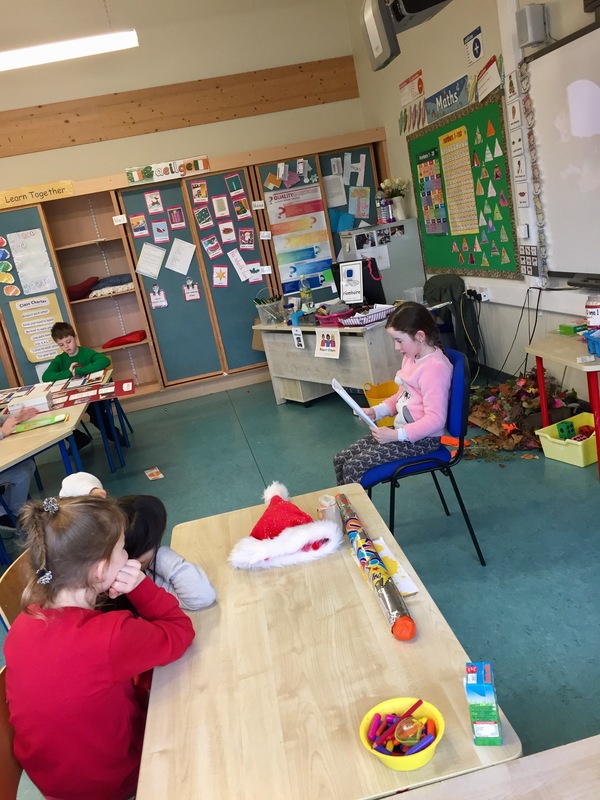 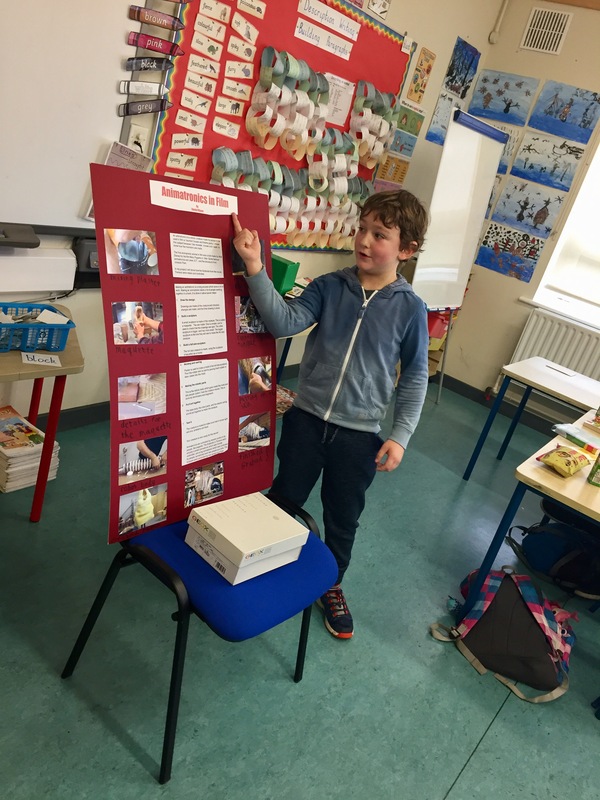 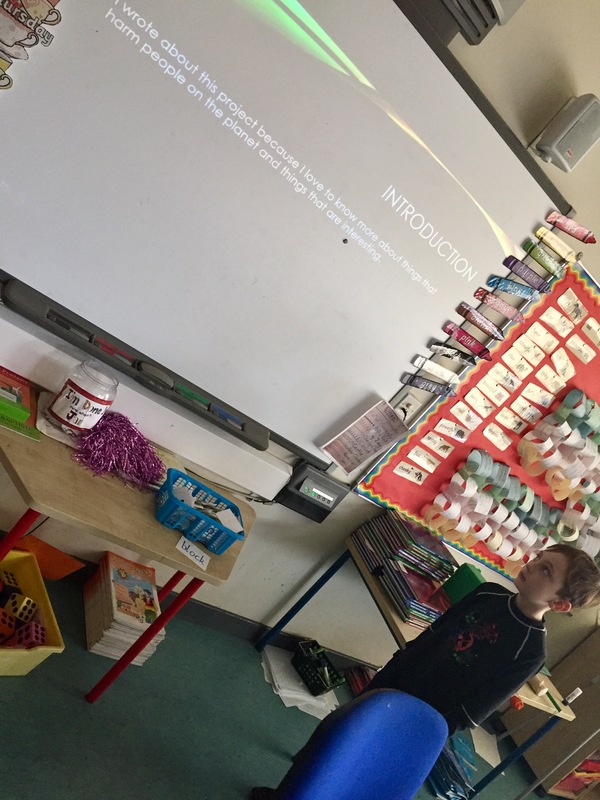 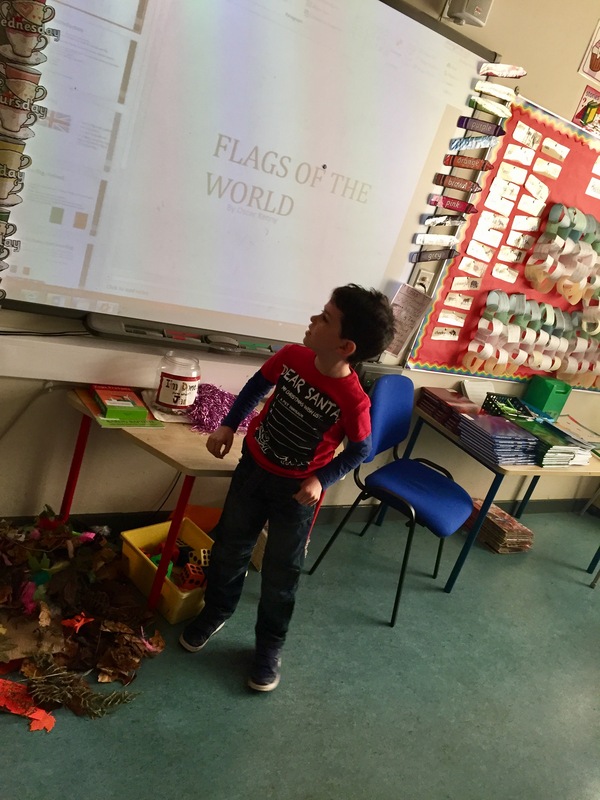 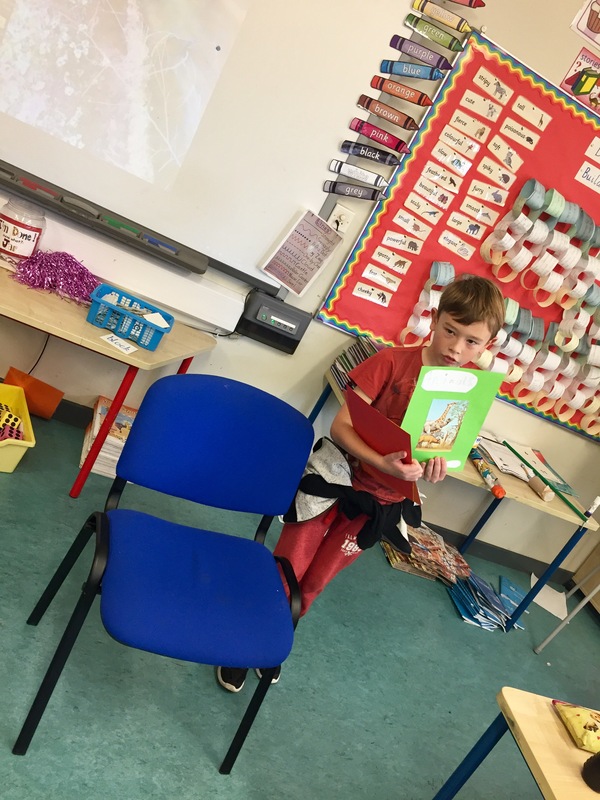 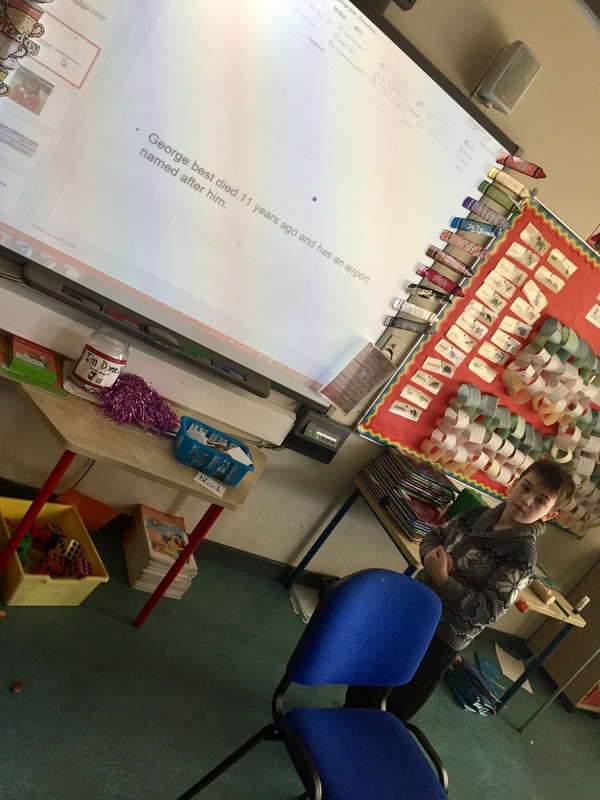 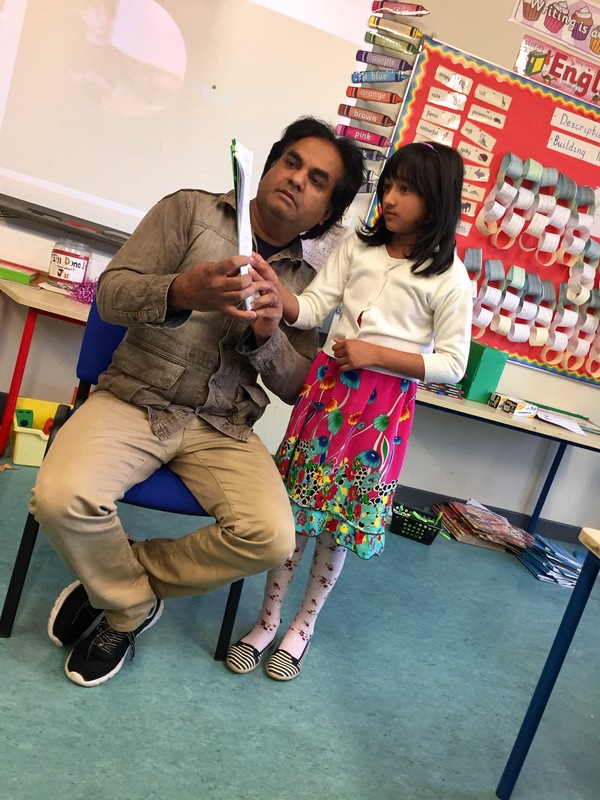 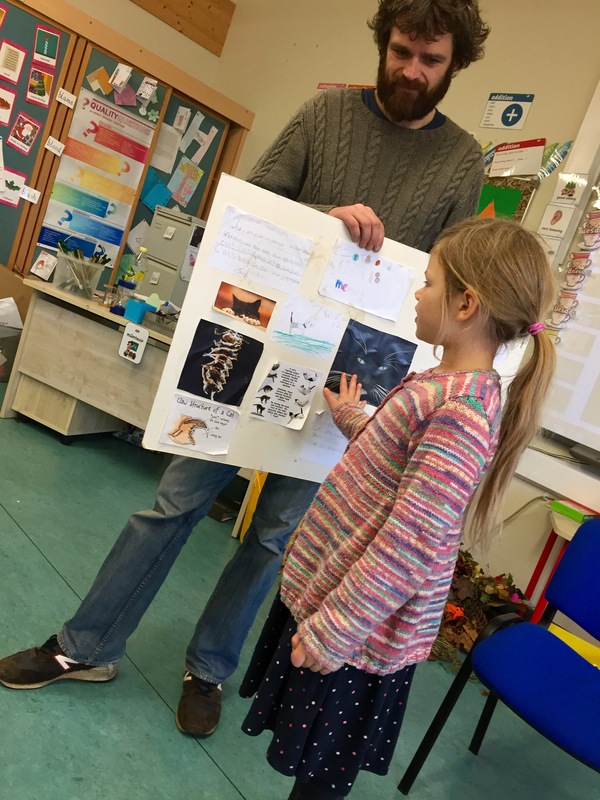 We had a great day in 2nd Class presenting projects. 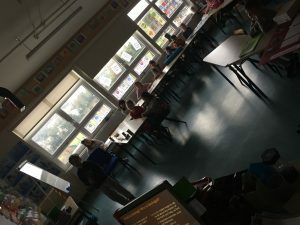 Two weeks of research & structuring their work to the end products. 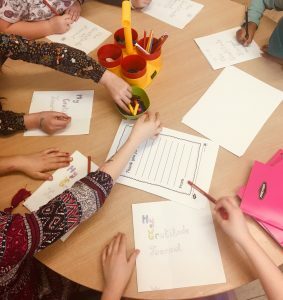 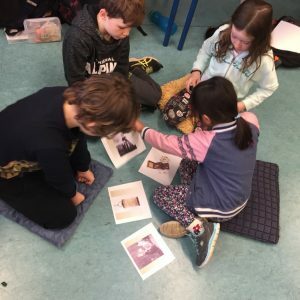 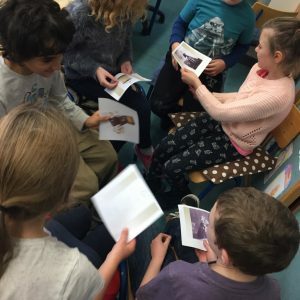 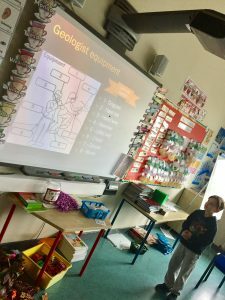 Topics were varied including Animatronics, Knitting, Musical instruments, Volcanos, World Wars, Donald Trump, Geology, Animals & many more wonderful ideas. 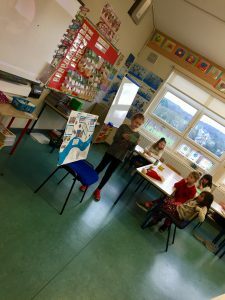 The pupils made their presentations in booklets, posters, timelines, PowerPoint and also usedsome models, samples and quizzes. Well done everyone, a great learning experience for us all & such enthusiasm for the task! 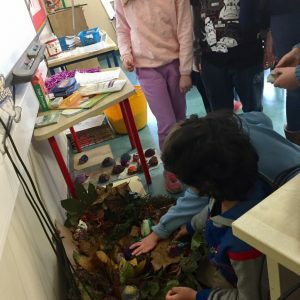 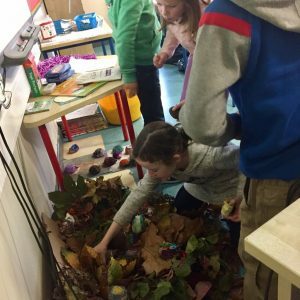 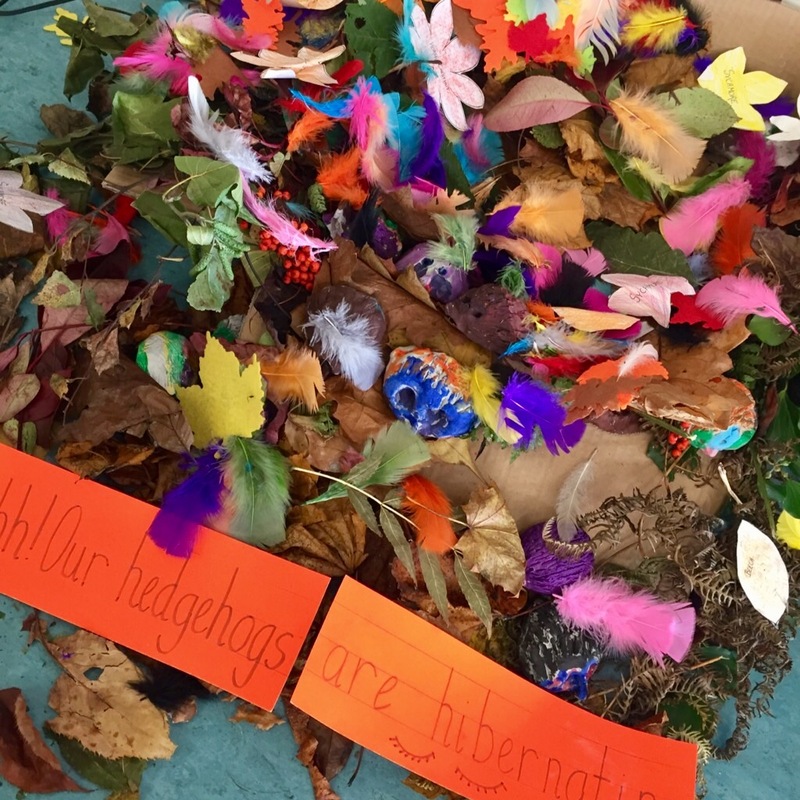 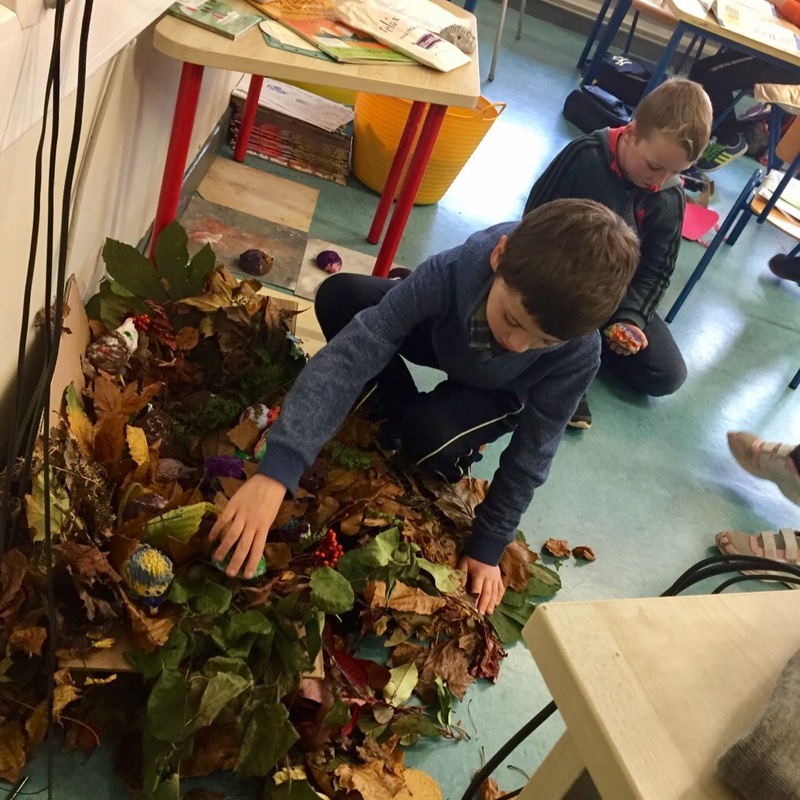 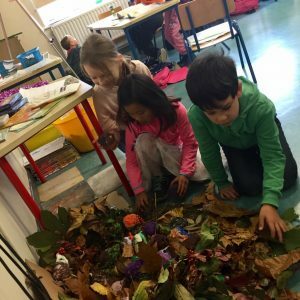 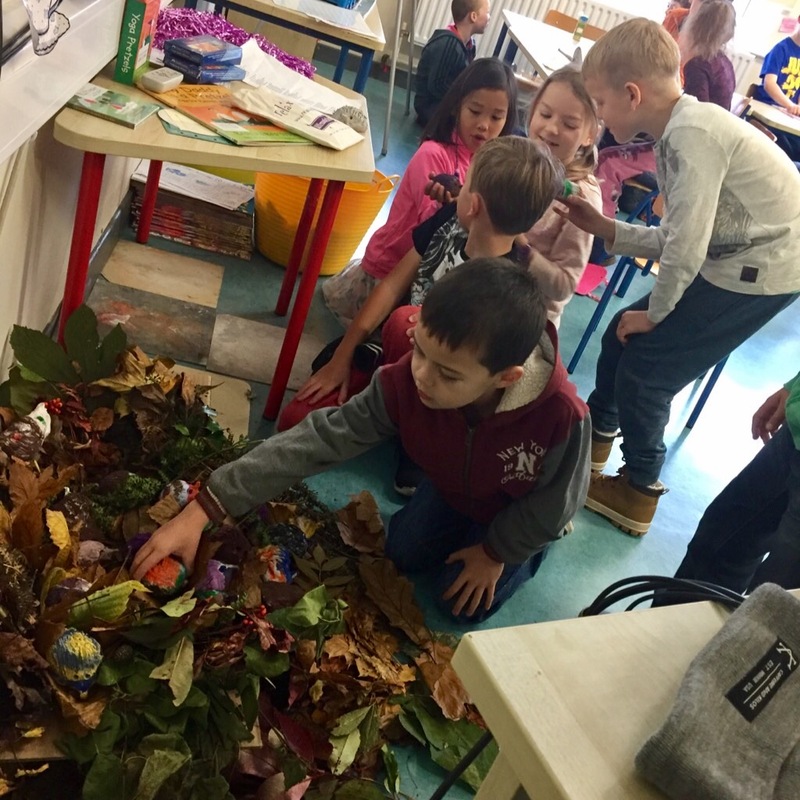 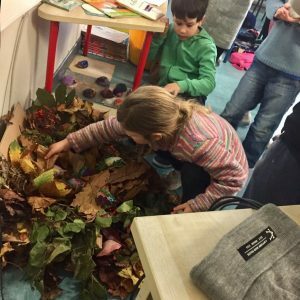 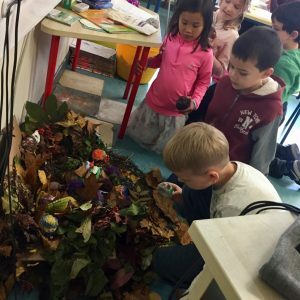 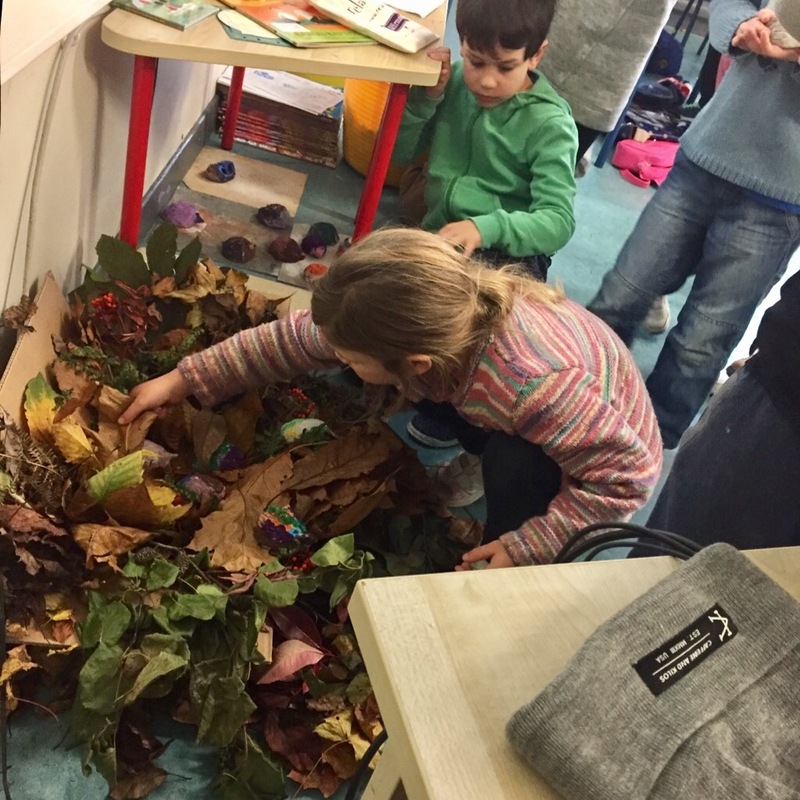 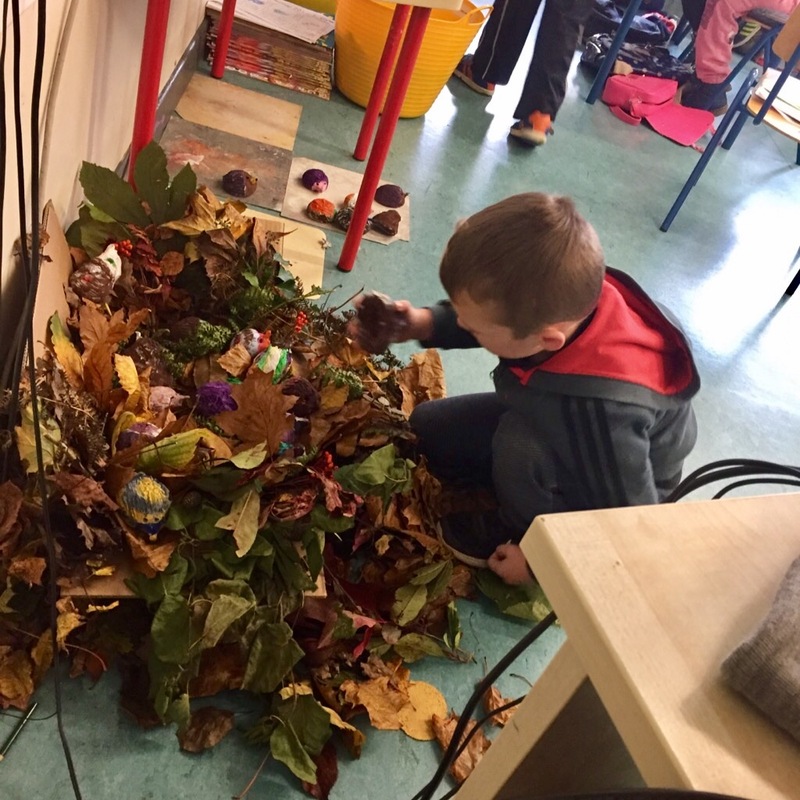 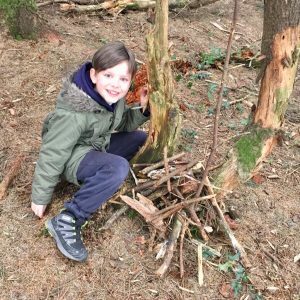 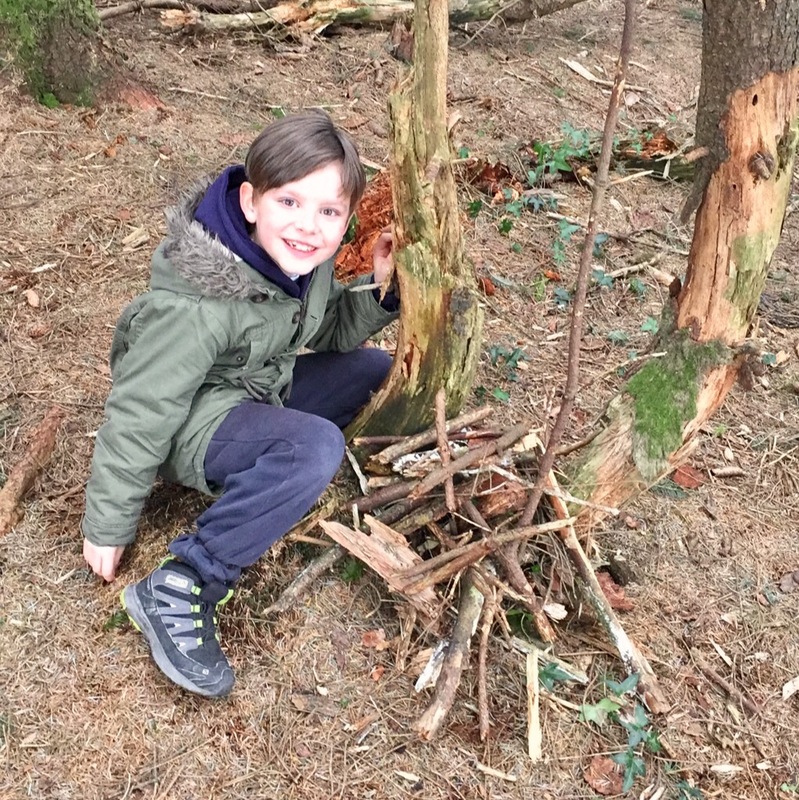 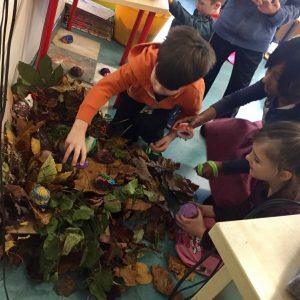 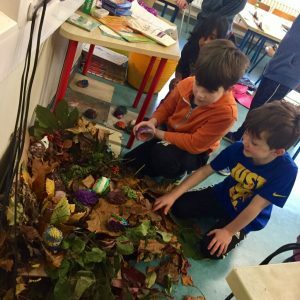 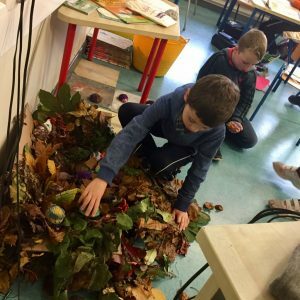 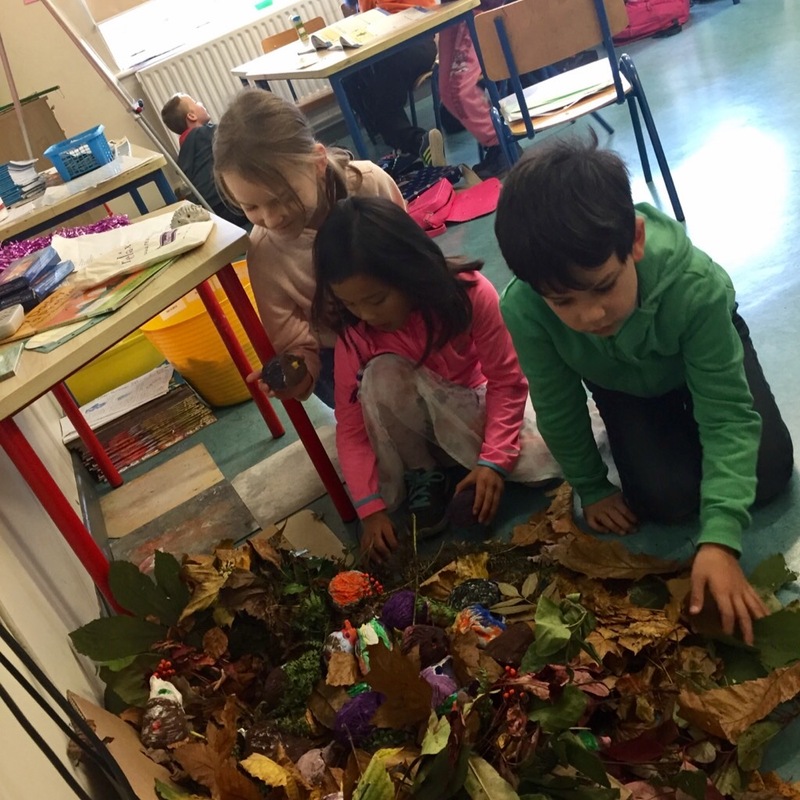 We made clay Hedgehogs and gathered some leaves & twigs to build them a hibernation nest for winter. 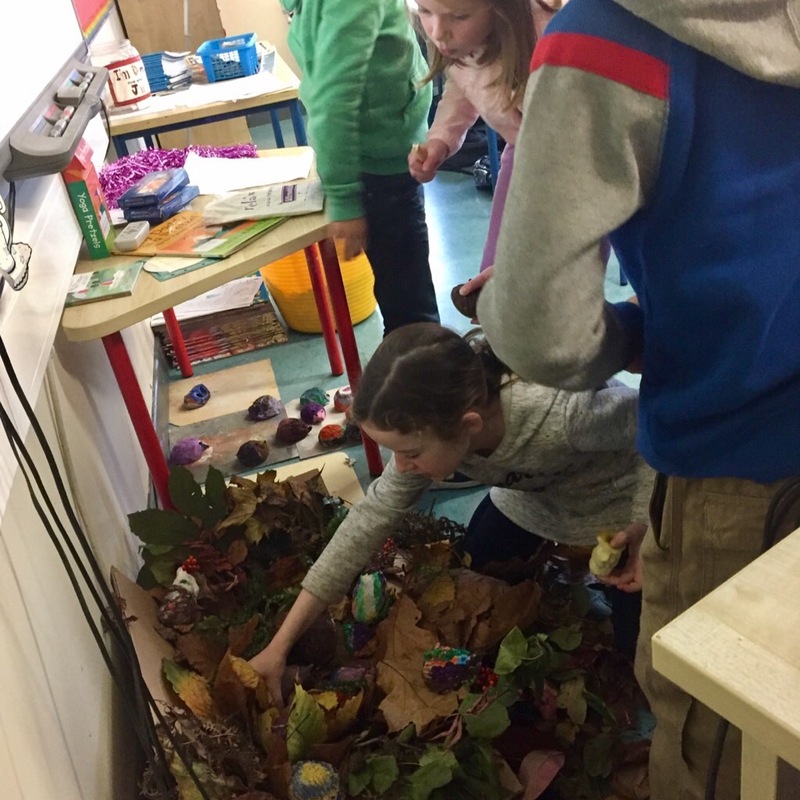 They’ll be lovely and snug in their new home until Spring! 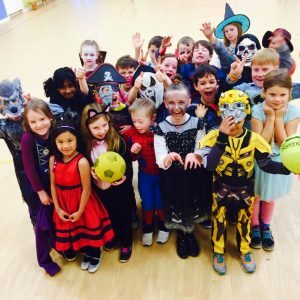 It was a spooktacular kinda PE class today??? 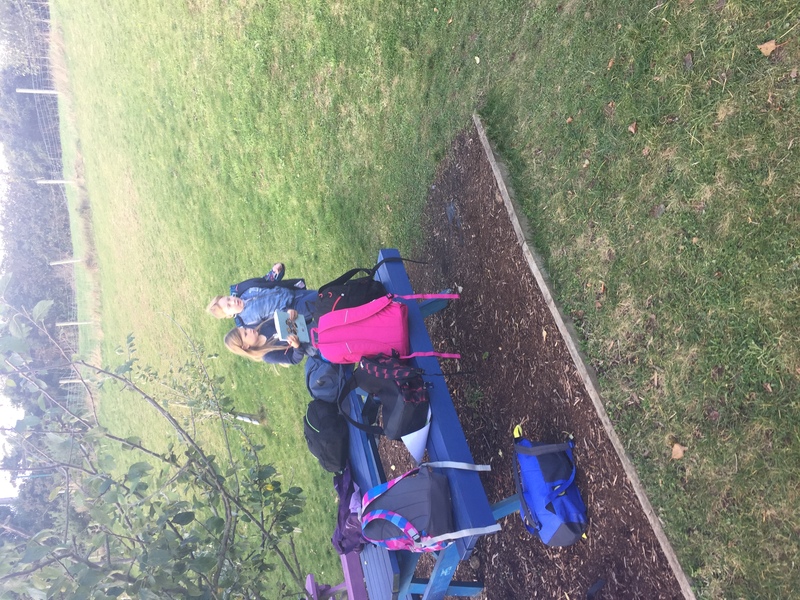 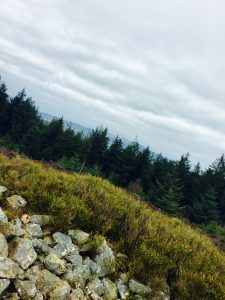 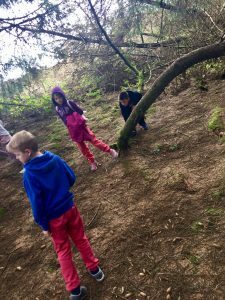 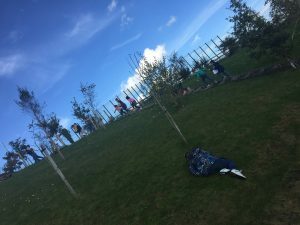 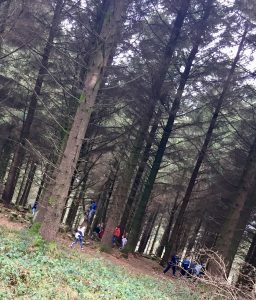 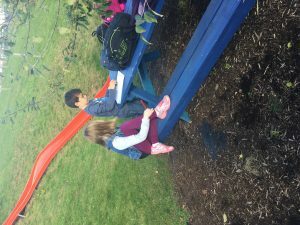 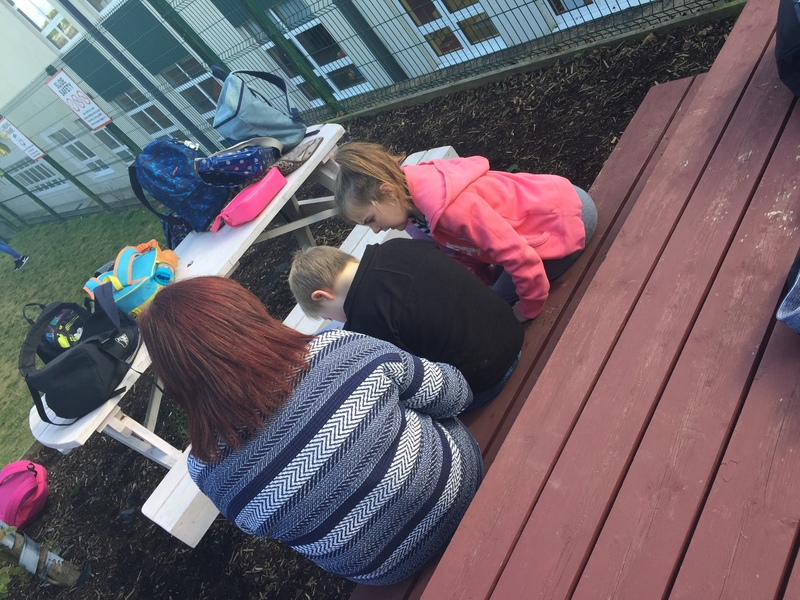 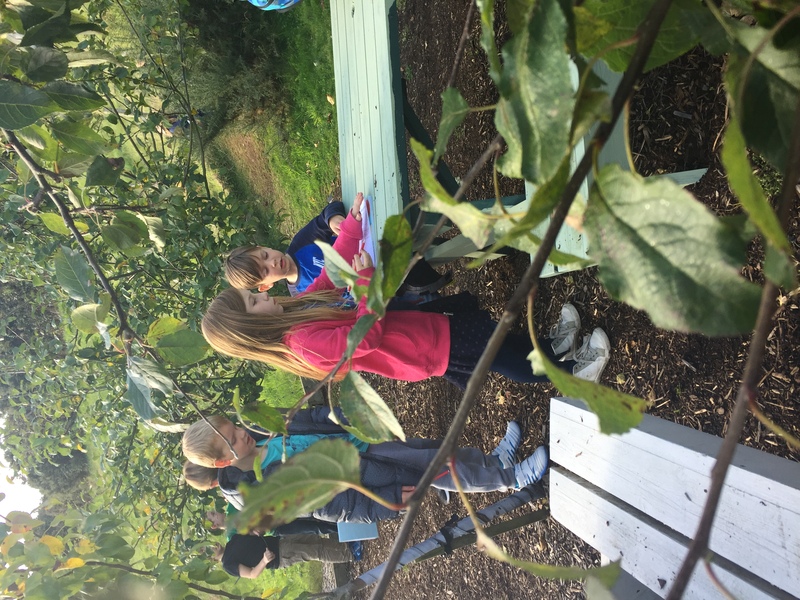 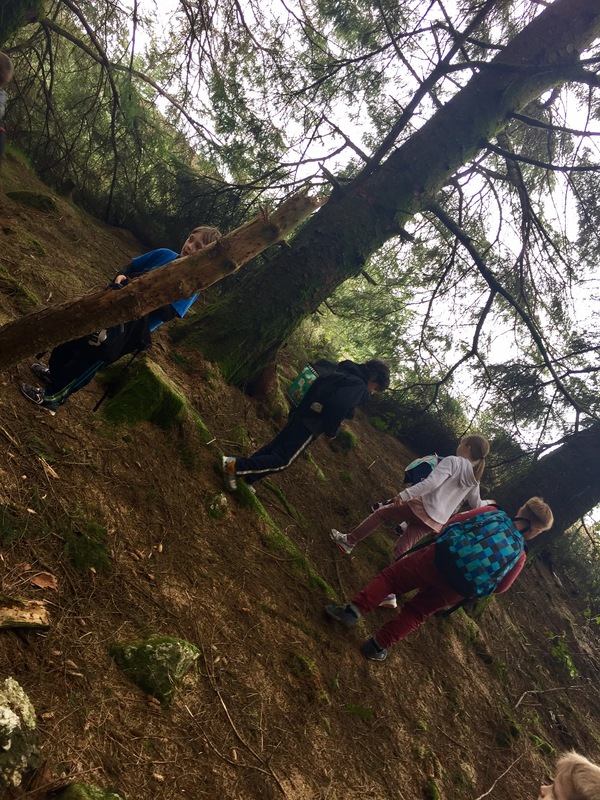 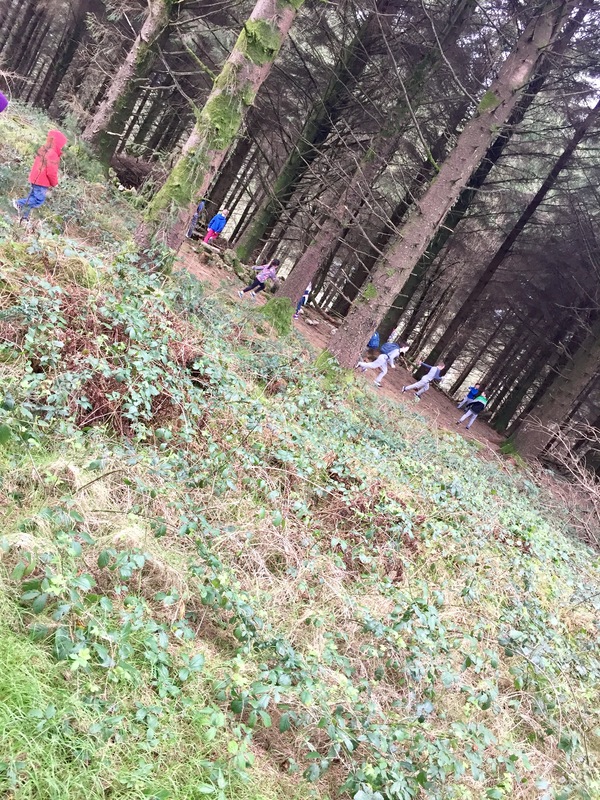 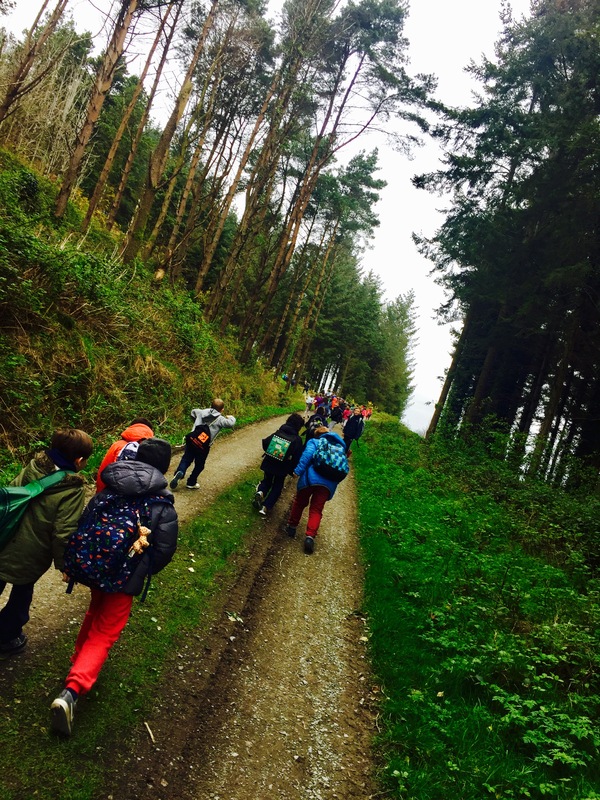 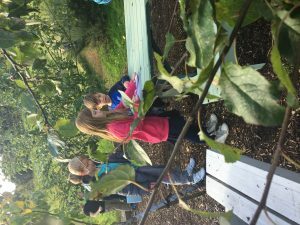 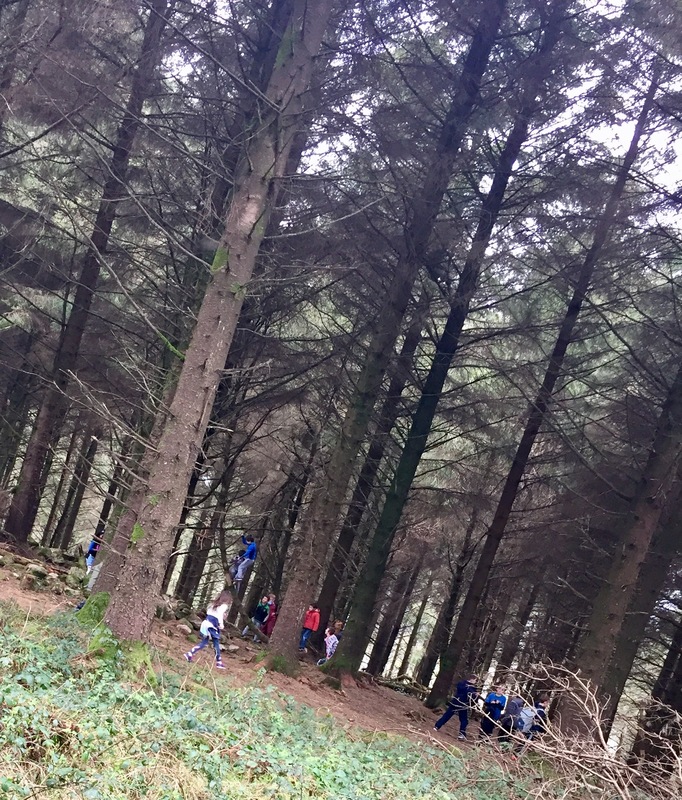 Maths trails while the sun still shines! 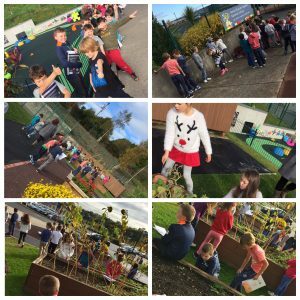 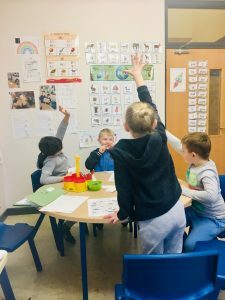 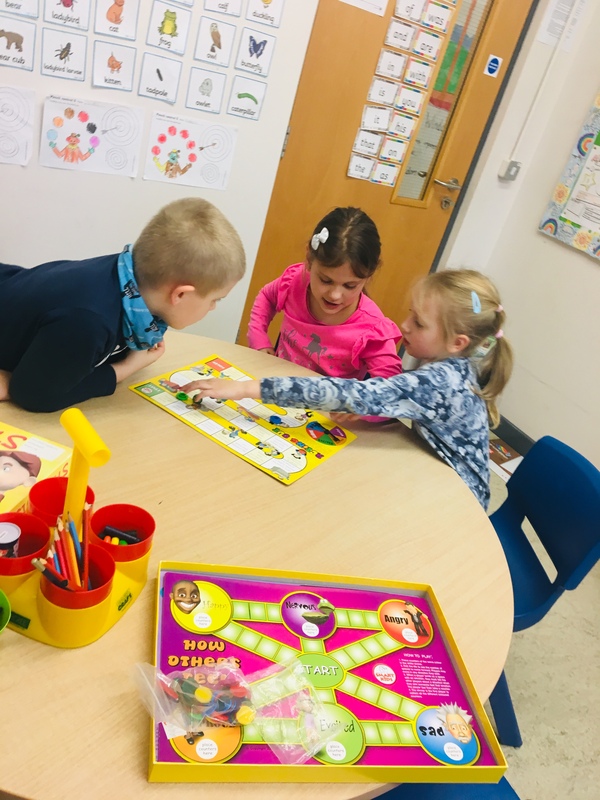 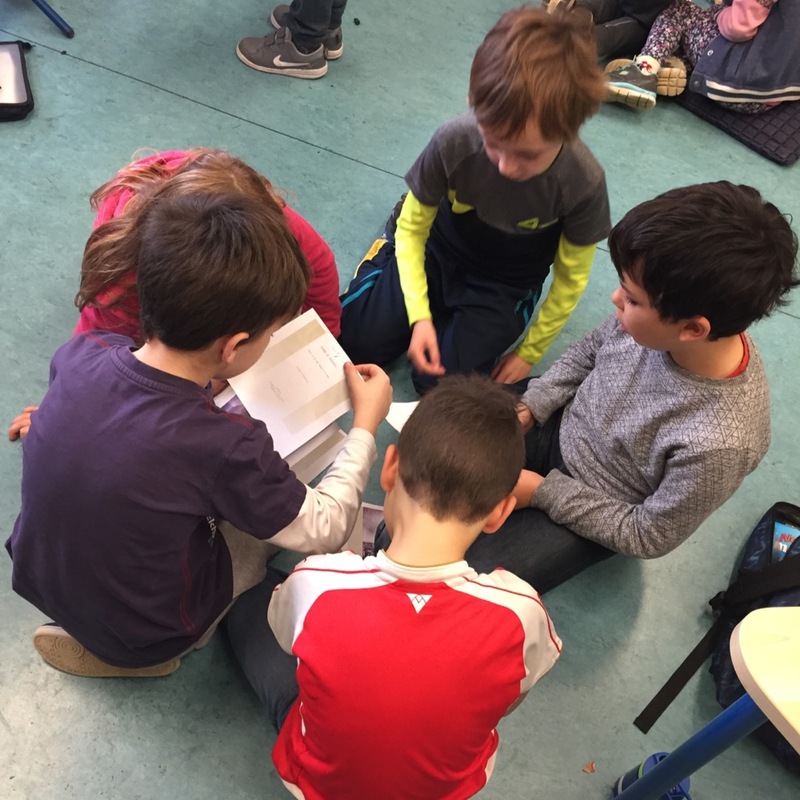 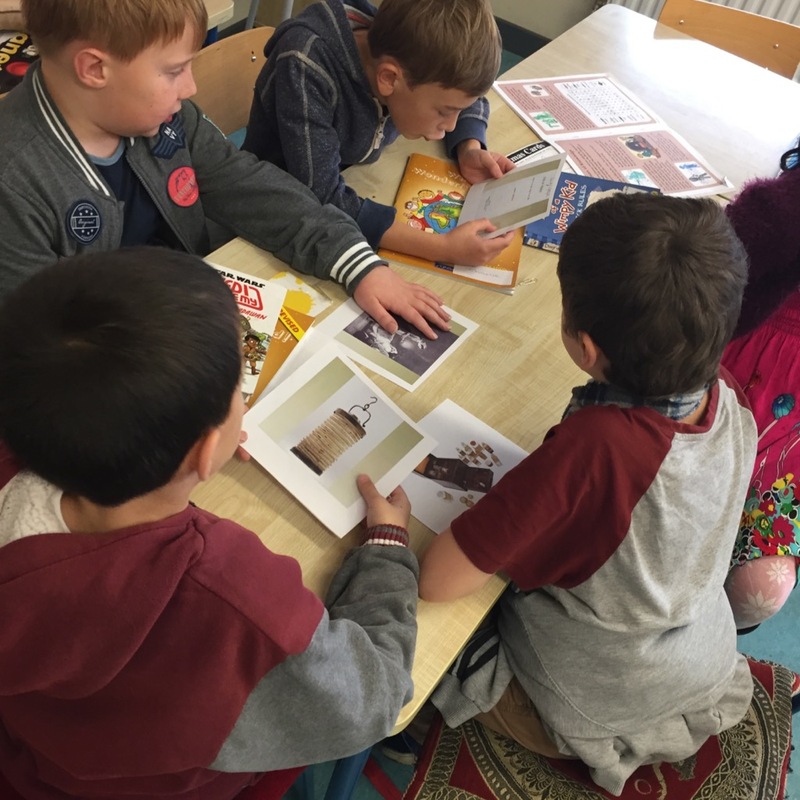 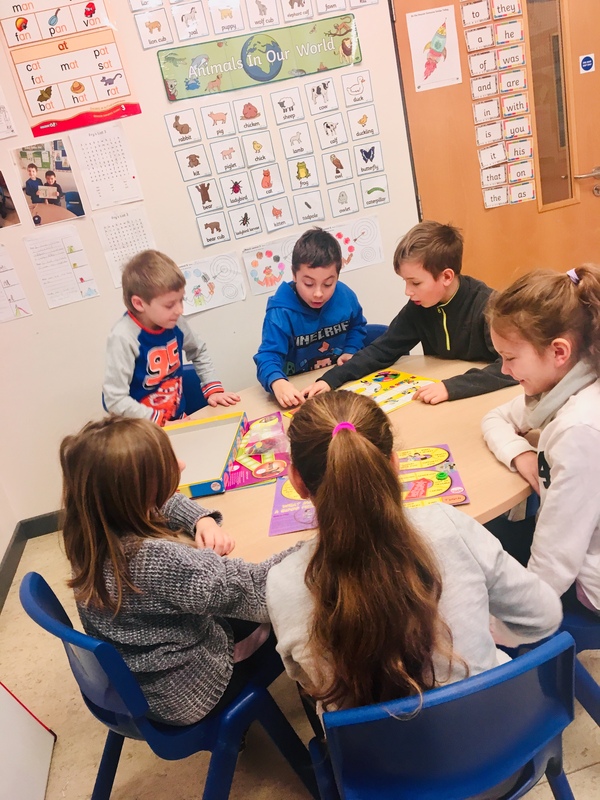 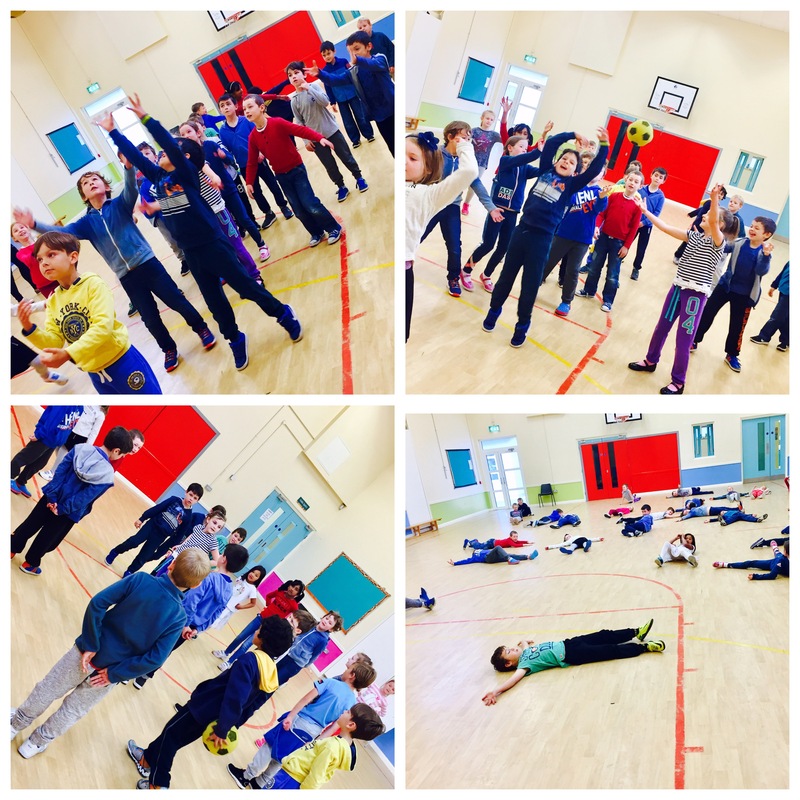 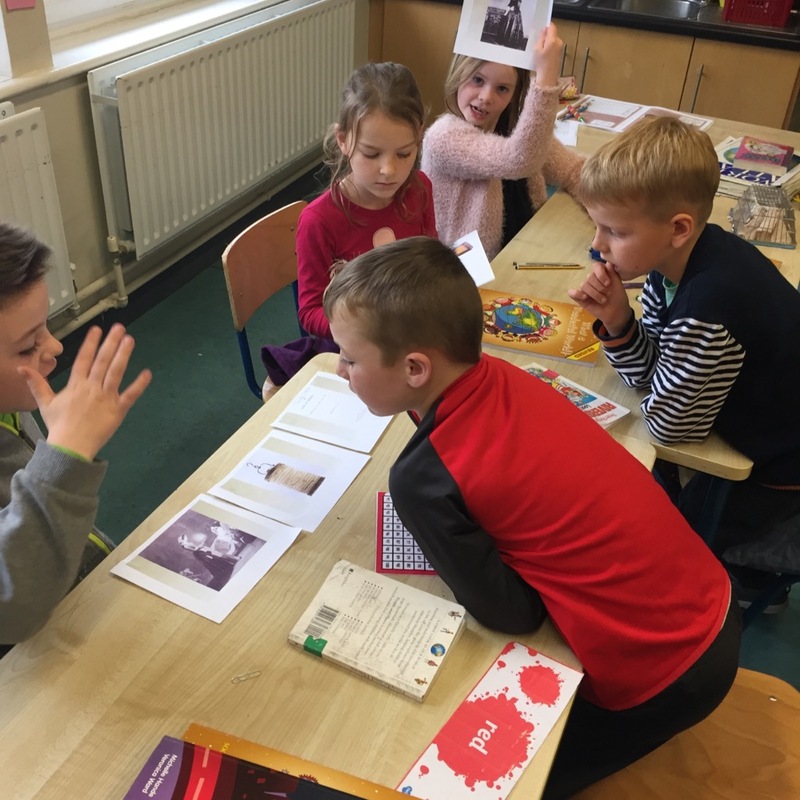 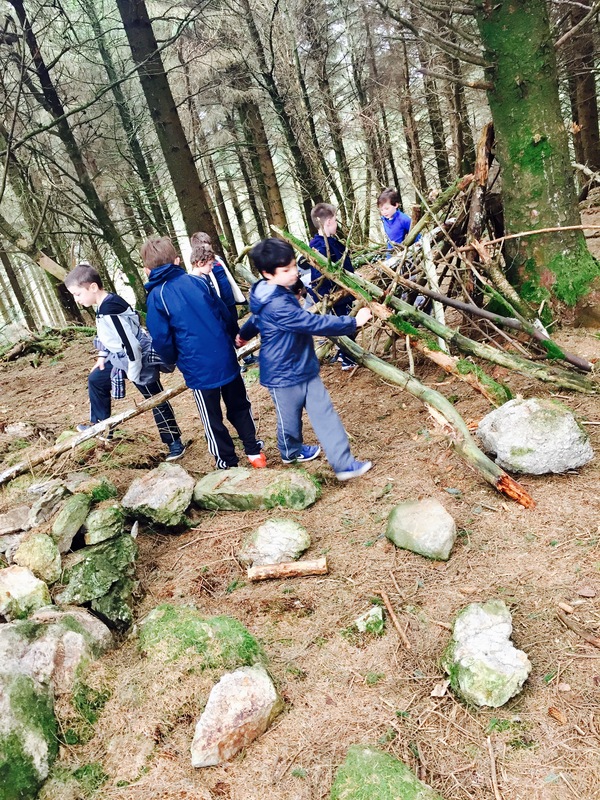 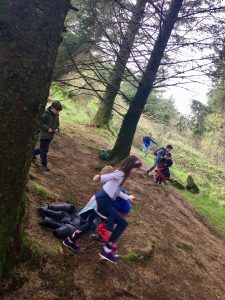 Each week the two 2nd classes pair up for “Action Maths” which involves a variety of games/activities linked to the curriculum.